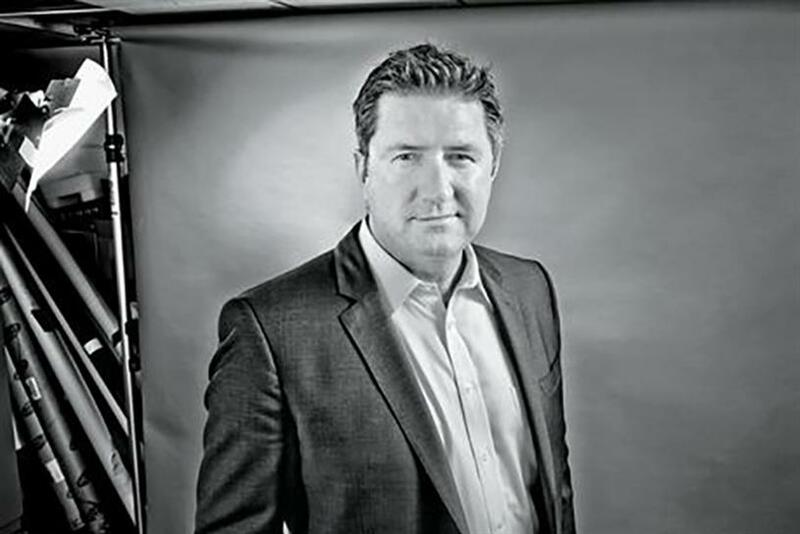 DUBAI — There’s been no dearth of action across the TBWA network since Troy Ruhanen took over as global president and CEO in the middle of 2014. He was among those who visited Dubai recently for a global meeting of senior network executives, which coincided with TBWA\Raad’s 15th anniversary. Gokul Krishnamurthy caught up with Ruhanen to understand his plans for the network, which has been making headlines for reasons good and bad in the last year. Stay tuned for news of more creative hires and a global head of planning, Ruhanen says. That’s intentional. I’m less into managing and more into sort of leading our clients. I found that a lot of us have got back into a reactive mode. I put Rob in that charge not because he’s a creative but because he’s a fantastic problem solver and he’s a great product person. Because of his global experience, he can sit across from any major client and really help solve their problems. That’s what clients are paying us for; they are not paying us just for our operational expertise or whatever else. They’ve got something to sell. They need us to help them think it through and go execute it better than anybody else. You will see a couple of announcements from us in the next few weeks on a couple of major markets. And the intent is exactly the same there as well. We’ll have a couple of other very big hires on the creative front, which we’re really excited about. Hires not as creative people, but as leaders of the agency. That’s not going to happen everywhere, because it’s horses for courses to some degree. But it sends a signal about who we are as a network. Rob and I saw it only one way. We want to make New York our global headquarters. It has somewhat been living in the shadow of Chiat\Day in LA. We are a very powerful and prolific agency in France. Somewhere over the decades, New York has lived in the shadows between those two. LA and Paris will still run global businesses and will still be among our greatest agencies. But we want to make New York our global headquarters. If I’m Rob, I’m going to see that as a promotion because I’m going to run global headquarters. We’ve seen leadership changes in several other markets, including China and India. Can you give us an umbrella view of what’s happening and where you’re headed as a network? Driving efficiencies, clients have really consolidated it down to some global hubs. There are 10 or 11 major hubs that most of them want to operate in. For a global client, we’ve got to have high performing agencies in those markets. Then you look at the other offices in the network: what is their role in the equation, and more importantly, what value I bring to them. We have to look at those markets and add innovation, reputation and a level of entrepreneurialism because they are self-dependent. I used to work in an agency in Australia – which was not part of Omnicom. My multinational revenue was 13%, and my management fee was 11%. What are you really getting out of that in the end? To me, it’s about driving great value to these offices, so that they can be great entrepreneurs, they can approach new business and they can drive innovation and product. So there are the global hubs and the entrepreneurial offices. And everyone is supposed to add to the reputation of our clients and to ourselves. The good thing about our global clients is that they are doing very well currently. Yes, we handle Nissan and Apple. We also have Michelin. We handle McDonald’s in a whole series of countries around the world. We handle Adidas in many countries as well, and Henkel in several countries. Global clients are a necessity. We’re having a global management meeting here (in Dubai). We have people from across the network coming here. It’s a fantastic feeling when you’re part of something bigger, when you’re all aligned around a philosophy that you believe in. You get a real sense of a movement that’s happening. Global clients certainly help you do that. I’ve traveled in my career, from Australia to Asia to America. I quite liked being in India, trying to figure out how to solve problems for Procter & Gamble, for example. We have launched products that are new behaviors for a lot of markets, whether it was the Philippines or Vietnam. That to me was a great experience. Inevitably, with global clients, there is real strategy involved. You have great platforms, the big idea, and you move it around the world tailoring it accordingly — but what drives that is strategy. That’s why we love disruption. That’s the way you get to work that has a strategic function. And we’re not just reliant on the creative department to deliver that. Global business is aligned with individual agencies or with clubs of agencies. Which do you see happening more? I think you see both. You definitely see a holding-company approach. We do it a little differently at Omnicom from WPP. But clients are looking for some level of efficiency. They’re not looking for a channel that’s efficient financially but one where they can be sure that the strategy stays on track. Global clients are definitely searching for different ways of working. You get real partnerships, like what we have with Nissan. Together, over the last 18 months, we have gone through a tremendous journey to deliver a social business platform for them. You sometimes need these big clients to do start new practices with. Procter’s always been great in my career. They’re an innovative company. They’re always looking for the new insight. Part of the purpose behind global clients is that they allow you to innovate; they give you some scope to do that. They are leaders and want to continue to lead the market place. So your practice evolves with it. And also, you discover great talent in your own network through that process. It uncovers them. Do you see more clients going with global alignments? It’s mixed, to be honest. I can’t say that there’s one trend happening. What I do know is that they want greater integration. Whether it’s a clutch of agencies or one agency, they are looking for a much more efficient way to get the work done. Within the different units — shopper, digital, etc. — do you see a void somewhere, or scope for improvement in any of them? How is each growing? There’s scope for improvement in every aspect of the business. If you fundamentally believe that you are an innovation company, which is what we do, and if you believe you are a disruption company, which is what we uniquely do, then you are always looking to improve and find new ways. The biggest area of growth that we are experiencing is in social. It is growing by leaps and bounds. Integer is a great global force on the shopper marketing front. Increasingly, we are looking for greater synergies between digital and shopper marketing. We’ve seen the explosion of content and production everywhere. I don’t think anyone has figured the right strategy on that front. The great part of being part of a young entrepreneurial network is that you have got a whole bunch of case studies happening out there. Each one is unique but you learn from each of them. But I think the roughest area for most agencies is around content and production. I don’t believe people have truly cracked this. If they’re saying they have, I think it must be in one or two instances, and not as a network. When it comes to M&As, who would drive that? The local offices or would you look at it at a global level? Both. The local markets have their tentacles around the market place. They know exactly where the great talent is and sometimes, they also have the working experience with them. On the flip of that though, we have a strategy at the global level on the investment areas we want to look at, and priority markets we want to do it in. There’s always a conversation going on. So it differs market by market. Sometimes you stumble across great talent and feel the guys really fit the culture. Sometimes it depends on where the currency is at as well. Right now, Europe is a great opportunity. You can look at Europe through a different lens right now than what you could have three years ago. You’ve spoken about bringing back disruption, not having a servile attitude, leading clients, and so on. Advertising as an industry isn’t at the head of the consultants’ table for clients. What are the challenges you foresee in bringing TBWA into the position you want it to be at? Firstly, it is about knowledge. You have to be more knowledgeable in order to be adding value to the client. The advantage is if you have that knowledge first. How do we get that knowledge, make it more meaningful, and get it to the client before anyone else does? Or even before they are thinking about it. Once we nail that, we know we can out-execute every agency that is out there. But we need the knowledge to be able to do that. And then you need the permission and the space to do that. The barrier to it is that we are not entitled to anything from our clients. We may be under a retainer; we may be under a three-year contract. But I don’t see that as a guarantee of anything. The only thing we are entitled to is our next meeting with them. And our opportunity is to go in with something they haven’t requested, or something they have never even thought about. How does that happen? How do you go about winning in knowledge? The great thing about technology is that it is arming you with many solutions that can arm you with the right information. You can see what’s piquing interest, where the consumer is. You can do it at a tactical level; you can do it to inform yourself from a long-term standpoint. But the only way you can do it is if you have a system set up, and have the daily responsibility and discipline to share that infor- mation. You have to make it a ritual – in terms of digesting knowledge and passing it through the system. You have spoken about the importance of planning earlier. Tell us more — what is its role in the process of creating work? People who feel that they can leave it at the doorstep of the creative are fairly selfish individuals. It’s more of a roundtable approach than a chain. There are a whole bunch of informants now who input into the strategy. I don’t believe in just outsourcing the responsibility to the creative department. Creatives can come up with fantastic planning. And others can come up with fantastic creative. If you are a creative company and have that culture, then you can attract more people to come and do that. Planning is essential. I believe it is there to do a combination of distillation and inspiration. I see planning as one continuous process – it never stops. So who does the planning? Obviously, there’s got to be a leader of each part of the process. But the right culture allows many minds to input into that. We have been the disruption agency for 25 years. If you want to be disruptive, you’ve got to be open. You have to believe that the opportunity can be solved in any way, shape or form. Planners are a great kick-start to it, but it can be anywhere in the culture. Do you have a head of planning globally? We will be announcing it shortly.